Our newly formulated Caffeine Free Pre-Workout has been designed to fire up your workout without interfering with your sleep later on in the day. What are the benefits of Caffeine Free Pre-Workout? 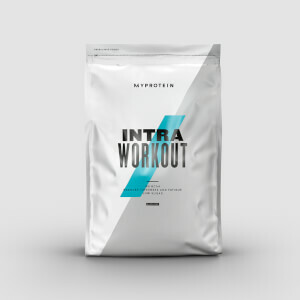 Containing a powerful blend of citrulline malate, beta alanine and AAKG – this will kick-start your body into giving the best performance* possible, without adding to your caffeine intake. It’s the perfect stimulant-free formula to boost* your late night workouts. It’s also got added vitamin C, which contributes to the reduction of tiredness and fatigue, making this a great natural energiser. When should you take Caffeine Free Pre-Workout? Simply enjoy 30-45 minutes before your workout for best results. **Creatine increases physical performance in successive bursts of short-term, high intensity exercise. The beneficial effect is obtained with a daily intake of 3g of creatine. 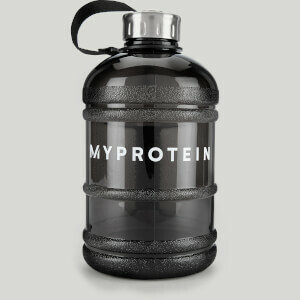 Mix 2 scoops (11.8g) with 200-300ml of water and consume 30 minutes before exercise. Do not exceed the stated recommended daily dose. This product is a food supplement and should not be used as a substitute for a varied, balanced diet. Keep in a cool dry place out of direct sunlight. Store out of the reach of young children. Not suitable for vegetarians. Blue Raspberry flavour: L-Citrulline Malate, Beta Alanine, Arginine Alpha Ketoglutarate, Betaine, Flavouring, L-Tyrosine, Anti-caking agents (Silicon Dioxide, Calcium Silicate), Vitamin C (Ascorbic Acid), Sweeteners (Sucralose, Acesulfame K), Acids (Citric Acid, Malic Acid), Salt, Colour (Brilliant Blue FCF). Cola flavour: L-Citrulline Malate, Beta Alanine, Arginine Alpha Ketoglutarate, Betaine, Flavouring, L-Tyrosine, Anti-caking agent (Silicon Dioxide), Vitamin C (Ascorbic Acid), Acidity Regulator (Sodium Citrate), Flavour enhancer (Potassium Chloride), Sweeteners (Sucralose, Acesulfame K), Acids (Citric Acid, Malic Acid), Salt, Colours (Sunset Yellow FCF, Allura Red AC, Brilliant Blue FCF). Fruit Punch flavour: L-Citrulline Malate, Beta Alanine, Arginine Alpha Ketoglutarate, Betaine, Flavouring, L-Tyrosine, Anti-caking agent (Silicon Dioxide), Vitamin C (Ascorbic Acid), Sweeteners (Sucralose, Acesulfame K), Acids (Citric Acid, Malic Acid), Salt, Colour (Allura Red AC). Orange Mango Passionfruit flavour: L-Citrulline Malate, Beta Alanine, Arginine Alpha Ketoglutarate, Betaine, Flavouring, L-Tyrosine, Anti-caking agents (Silicon Dioxide, Calcium Silicate), Vitamin C (Ascorbic Acid), Sweeteners (Sucralose, Acesulfame K), Acids (Citric Acid, Malic Acid), Salt, Colour (Sunset Yellow FCF). Allura Red and Sunset Yellow may have an adverse effect on activity and attention in children. Caffeine-Free Amino Acid Pre Workout powder. Food supplement with sweeteners. Blue Raspberry flavour. Caffeine-Free Amino Acid Pre Workout powder. Food supplement with sweeteners. Cola flavour. Caffeine-Free Amino Acid Pre Workout powder. Food supplement with sweeteners. Fruit Punch flavour. Caffeine-Free Amino Acid Pre Workout powder. Food supplement with sweeteners. Orange Mango Passionfruit flavour.